No one knows what a disorderly Brexit could mean for education, but we need to be prepared. How should schools respond to the potential disruption which may follow? The local authority officer looked across the room. One guess about the topic? All over the country, local authority emergency planning teams (often called resilience forums) are war-gaming what to do in the event of a disorderly Brexit. My local authority happens to be located in one of the areas at highest risk of serious disruption and planning, as the man said, for the worst. It’s not every day that we hear about schemes for mobile abattoirs! 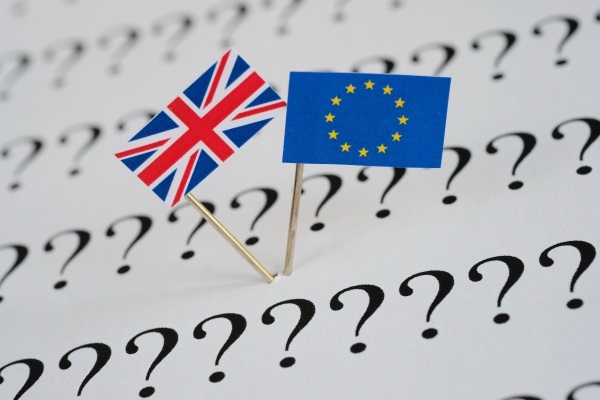 It is essential for all schools to be considering their own responses to the potential disruption that may – or may not – occur if, and when, the UK leaves the European Union, and upon what basis. While local authorities in the front line will be sharing their thoughts with schools, it is worth us all considering some of the issues, if only to prepare a response by having at least discussed it between leaders, key staff and governors. The kind of disruption we are most likely to encounter will impact on lines of communication and traffic flow. In many ways, this will feel like preparing for a severe weather event when some staff may not be able to get to school and others may arrive late or ask to leave early. Just as schools would have a snow plan, there needs to be a Brexit plan. It is the headteacher’s decision whether or not to close the school, but the best advice is to work with all staff, and make all efforts to keep most of the school open. It is worth remembering that sending pupils home will draw parents away from their own work and that many of them will also work in community roles. Staff absences can be managed as with any snow closure – the head will need to be satisfied that the staff member has made every effort to get into work and it is perfectly reasonable to ask them to report to a school near their home to fill gaps there. Schools may need to have a plan for staff who find they cannot get home. Planned meetings, especially multi-agency, may be subject to disruption as people may not be available to discuss particular cases. Therefore, it is important for schools to identify those pupils who are likely to be involved and start talking with the other agencies early. The biggest impact on pupils is likely to be their attendance and punctuality. When a pupil is absent from school ‘due to unforeseen circumstances’, their absence can be coded ‘Y” and the DfE have indicated that this will not affect overall attendance figures. Just as with staff, it is possible that parents may have difficulty in getting their children to school on time and in picking them up at the end of the day. Schools will therefore need to have a plan for managing lateness and for arrangements to supervise children while they wait to be collected. The key issue here is safeguarding and schools will need to have this at the forefront when making alternative collection arrangements. In those coastal areas with ports, there are likely to be severe hold-ups due to increased border checks and the build-up of freight transport is inevitable. This will trigger local arrangements for parking lorries, along motorways, in roads and in purpose built lorry parks. All of that is likely to impact on commuter travel, both by public transport and private car. Schools that rely on pupil transport could already be talking to their transport contractors to talk though the various scenarios. In turn, this is very likely to have a negative impact on local businesses and on the school’s decisions around the provision of breakfast clubs and after-school activities. Leaders should be thinking about this now so that they have fall-back plans. Some staff may change their preferred travel arrangements and schools could help by providing additional facilities for walkers and cyclists. There could be additional road-safety concerns with traffic and parking around the school and pupils must be made aware of the potential hazards. All of this will certainly impact on supply-chains and contractors are likely to have some difficulty in maintaining service delivery. This could include heating oil and school meals. Early discussion with suppliers at least allows the discussion of possible solutions. For schools positioned close to motorways, alternative routes and parking areas, there could be a decline in air quality. This needs to be carefully monitored and, if it is felt that air quality is deteriorating, move personnel into the building, where substance exposure is significantly reduced. This could be a big issue. While it would be premature to be cancelling anything, parents need to be alerted to the potential for late returns. If a school trip is planned abroad, there could be delays at border points and, if a school trip is planned by air, there could well be delays at UK airports, even though temporary arrangements have agreed to allow UK aircraft access to EU airspace. This is not an exhaustive list but it does highlight the size of the problems that could be faced in some areas. having a prepared set of answers to questions parents may ask. Better to plan for the worst. It may not happen.